A number of Bollywood celebs are often spotted bustling through the Mumbai airport going about with their film or personal errands. Recently, a Tollywood star was also spotted making his way through the airport, much to the delight of fans and the paparazzi. Actor Prabhas, famous for his role of Baahubali in the S S Rajamouli epic drama, was spotted at the Mumbai airport on Tuesday. Reports state that the actor has arrived in the city to promote his upcoming film 'Baahubali 2: The Conclusion', which is slated for an April 28 release. Excited fans thronged the actor as to take a picture or two with him. 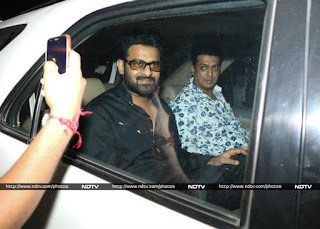 Prabhas seemed at ease as he smiled for the paparazzi and even had a brief interaction with his fans. 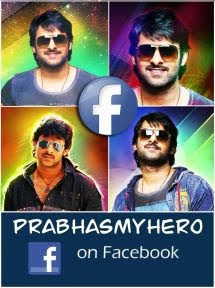 From the way the 'Baahubali' actor was received at the airport, it looks like he has created a good fan base for himself in Bollywood as well. Also starring Rana Daggubati, Anushka Shetty and Tamannaah Bhatia 'Baahubali 2: The Conclusion' will release on April 28, weeks after the re-release of 'Baahubali: The Beginning'.